Zealous advocacy and individualized legal representation are the cornerstones of Ellis Injury Law. Founded more than 20 years ago, our practice is committed to achieving the best possible outcomes for victims of slip and fall injuries, motorcycle and auto accidents, construction mishaps, elder abuse and other types of preventable harm. Glendale Personal Injury Attorney- Andrew L. Ellis Andy Ellis is one of the most successful Personal Injury Lawyers in California. Meet Mr. Ellis and find out how he helps his clients who have a personal injury case. http://ellisinjurylaw.com. Throughout the years, our team of veteran trial lawyers has worked tirelessly to balance the scales of justice – obtaining significant judgements and settlements for clients based in Glendale and throughout all of Southern California. Founder and senior partner Andrew Ellis has received numerous accolades over the years, and was recently ranked among the country’s Top 100 Trial Lawyers. From our centrally-located office on North Brand Boulevard, our highly-credentialed staff is pleased to provide outstanding guidance to those in need. Reach out for a free and private consultation at one of our 20 California law firm locations to explore your rights to legal compensation. Ellis Law attorneys have steadily built a reputation as aggressive litigators who possess a keen understanding of California law. Our practice boasts some of the nation’s most talented lawyers and support staff whose integrity, diligence and knowledge pave the way for client success. We collaborate with a broad network of hand-picked experts, including accident reconstructionists, medical experts, investigators and engineers that illustrate liability without a reasonable doubt. During the past five years alone, personal injury attorney Andrew Ellis has procured more than a quarter billion dollars on behalf of his injured clients, providing them with the financial resources to move beyond tragedy and take control of their lives. We are honored to provide exceptional legal advocacy to clients throughout Los Angeles County, from the San Fernando Valley to the Valley of San Gabriel. Our sterling reputation as a leading Los Angeles law firm has been built on a strong track record of multi-million dollar settlements and numerous trial victories, and is fostered by our ongoing commitment to client success. Here at Ellis Law, we treat every client with respect and the level of personal attention deserving of those injured by negligence. Our legal strategies are based on the unique circumstances surrounding each case, whether rooted in theories of premises liability or personal injury. It remains our goal to help clients overcome the financial, emotional and physical challenges caused by distracted drivers, reckless property owners or large corporations that place profits over consumer safety. We feel privileged to achieve substantial recoveries for our clients and derive great satisfaction in bringing negligent parties to justice. In our vast experience litigating motor vehicle accident claims, we have garnered an in-depth understanding of the catastrophic injuries common to victims, including spinal cord damage, paralysis, traumatic brain injury and broken bones that necessitate extensive hospitalization and rehabilitation. Based on the projected medical care and therapy needed, we work hard to maximize the value of your settlement or court award, ensuring that victims are fully and fairly compensated for all injuries and disability. If you or someone you care about has had the misfortune of sustaining severe personal injury, you never have to feel alone. Ellis Law’s experienced lawyers are here to answer your questions, explain the legal process and guide you through every step of this difficult time. From our Glendale, CA office, our staff is ready to fight for your rights, and handle your case in the most professional and efficient manner. 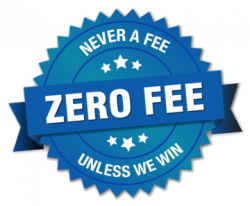 As a highly successful award-winning firm, we offer our services on a contingency-fee basis, relieving clients of upfront and out-of-pocket fees. When you partner with Ellis Law, you will never be forced into accepting a low-ball settlement based on financial constraints, and can rest assured that our team will leverage every available resource to cultivate a strong case that can secure fair reparations for hospital expenses, medical bills, lost income, in-home modifications, loss of earning potential, emotional suffering, among other losses. In other words, clients do not owe us a dime until a recovery is obtained. This contingent-fee model eliminates financial risk to the client and levels the playing field when litigating against well-funded defendants. Furthermore, our attorneys extend the promise of direct, open communication regarding the status of your case and the implications of each milestone achieved. All consultations are offered free of charge, during which time our lawyers will candidly evaluate the merits of your case and determine whether you have grounds for civil action. For more information about our areas of practice or to request a free case review, we invite you to call our Glendale office at (818) 291-6292, or our toll-free line at 310-641-3335. Ellis Injury Law is headquartered in Los Angeles and serves all of Southern California. We offer a convenient City of Glendale personal injury attorney location. If you’ve been injured in a car accident, suffered an injury on someone else’s property or been hurt in a slip and fall accident, you have the right to take legal action. A Glendale personal injury lawyer will make sure that you are equipped with a knowledgeable lawyer that will fight for the settlement you deserve.